Canada’s newest professional sports franchise will have plenty of Indigenous connections. It was announced this past weekend that one of the franchises that will be a part of the National Lacrosse League (NLL) for next season will be called the Halifax Thunderbirds. The club will be owned by Curt Styres, the Six Nations businessman from Ohsweken, Ont. who currently owns the NLL’s Rochester Knighthawks. Styres, who is also the Knighthawks’ general manager, made North American sports history back in 2007. 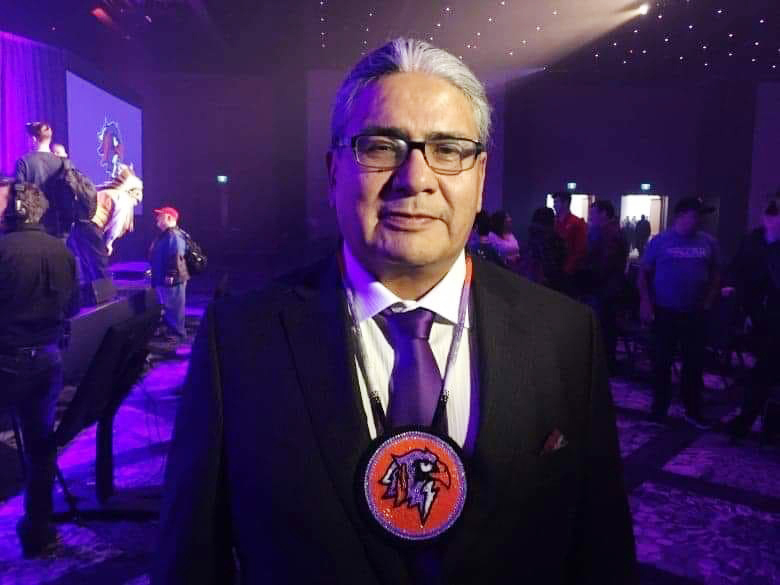 By purchasing the Knighthawks a decade ago he became the first Indigenous owner of a professional squad on the continent. Styres is actually moving the Knighthawks’ franchise to Halifax and making the name change. The Knighthawks’ squad is currently playing its last season in Rochester before moving to the Maritimes. The name Thunderbirds for the Halifax franchise was chosen in part to honour the Indigenous people of the area. Halifax is on Mi’kmaq territory known as Mi’kma’ki. Styres is thrilled the Thunderbirds will play on Indigenous land. “I think it’s overdue and it’s going to be quite an honour,” he said. Though a handful of other team names were considered, Styres is the one that chose the moniker Thunderbirds. The thunderbird is viewed as a legendary creature in Indigenous peoples’ history and culture. The Halifax franchise revealed its name at an event this past Saturday at the Halifax Convention Centre. It included a ceremonial smudge. The Thunderbirds retain the rights to all of its current Knighthawks players, as well as the staff from the Knighthawks. Rochester’s roster traditionally includes several Indigenous players. This year that includes star forward Cody Jamieson and goaltenders Angus Goodleaf and Warren Hill. Several members of the Knighthawks’ executive, including Jake Henhawk, Tracy Johnson and Duane Jacobs, are also Indigenous. Henhawk is Rochester’s president of lacrosse operations, Johnson is the executive vice-president of lacrosse operations and Jacobs is director of player development. The announcement Styres would move the Knighthawks’ franchise to Halifax was officially made this past September. Rochester, however, will continue to have a team in the NLL. That’s because league representatives have approved a club will continue to run in the city operated by Pegula Sports and Entertainment. This group also owns several other pro franchises. The Buffalo-based company owns the NLL’s Buffalo Bandits, the National Hockey League’s Buffalo Sabres, the Buffalo Bills of the National Football League, the American Hockey League’s Rochester Americans and the Buffalo Beauts, members of the National Women’s Hockey League. Also announced this past weekend was the name of another expansion franchise that will be joining the NLL for the 2019-2020 campaign. That would be the New York Riptide. NLL officials have a long-term goal of eventually having 20 franchises. Two squads, the Philadelphia Wings and San Diego Seals, are in their first year of operations now. As for this year, the NLL, which was founded in 1986, features 11 squads. Besides Rochester and Buffalo, other entrants include the defending league Saskatchewan Rush, Toronto Rock, Calgary Roughnecks, Vancouver Warriors, Georgia Swarm, Colorado Mammoth and New England Black Wolves. Under Styres’ ownership the Knighthawks captured three consecutive NLL championships from 2012-14. Styres would also obviously like to bring a championship squad in Halifax as early as next season. “If there’s a one in a thousand chance of somebody winning it next year why not me?” Styres said. The Thunderbirds are expected to play their first regular season match this coming December. The Thunderbirds will play all of their home contests at the Scotiabank Centre. The facility is also the home of the Halifax Mooseheads, members of the Quebec Major Junior Hockey League, and the Halifax Hurricanes, who compete in the National Basketball League of Canada.